What a great concept for a company to use as much of material as possible to reduce waste! I also thought the video does a great job of showing exactly what the company does and how it links to the history of denim. 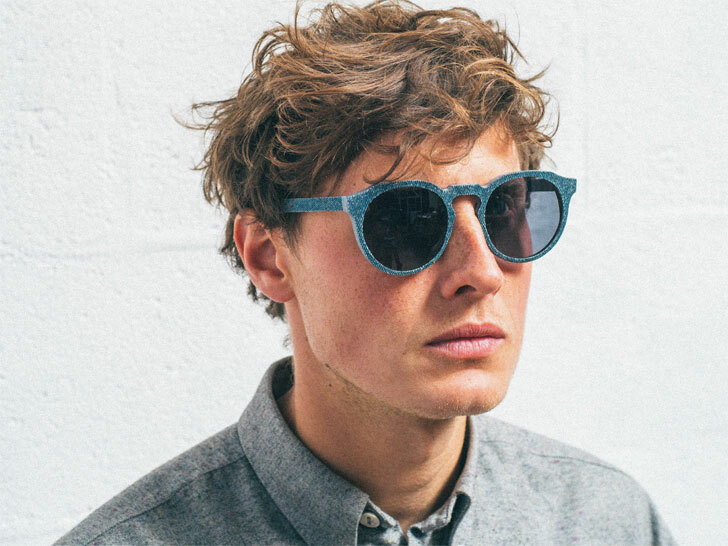 Mosevic dubs its eyewear the most exciting development in denim since blue jeans. Derived from resin-infused layers of the blue stuff, its "Solid Denim" collection puts a new spin on a rugged workwear staple. Now out of its prototyping phase, Mosevic plans to find a denim waste stream it can tap into. "This waste stream could be from denim clothing that hasn't sold, from secondhand denim clothing, or even from the offcuts of denim that jeans manufacturers have no use for," Jack Spencer, one of the company's co-founders, told Ecouterre. "It's something we would like to have in place as soon as possible."